A few weeks ago, I ran out of the homemade sugar scrub that I use almost daily when I shower, so I knew that I needed to make a new batch. 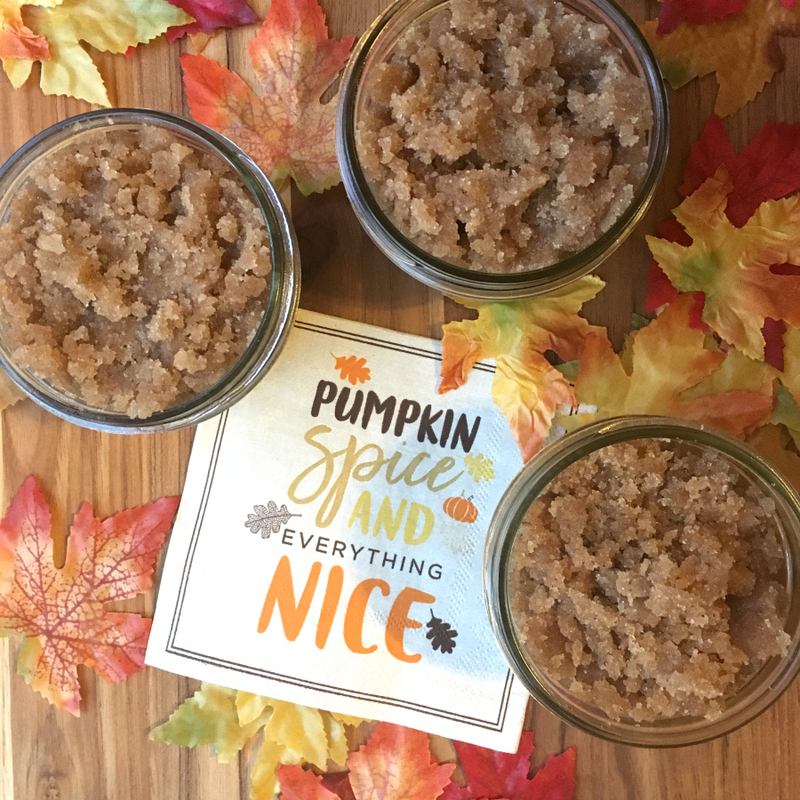 Since pumpkin spice is everywhere this time of year, I thought it would be fun to see if I could make a sugar scrub that smelled like my favorite scent of the fall. Note: affiliate links are used to point you to the products that I used that you may not have around the house already. No extra cost for you, as always! 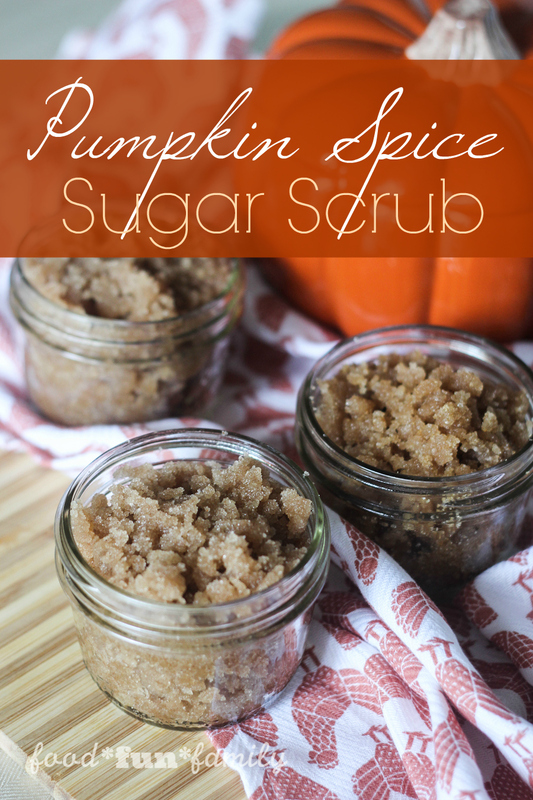 I have fallen in love with this pumpkin spice sugar scrub! It’s so quick and easy to make, it makes my skin feel incredible, it’s full of simple, natural ingredients, and it’s a frugal but useful DIY gift to give to friends and family. What’s not to love? It’s pumpkin spice and everything nice (and none of the bad stuff!) – I love making my own bath and beauty products out of simple and wholesome ingredients. 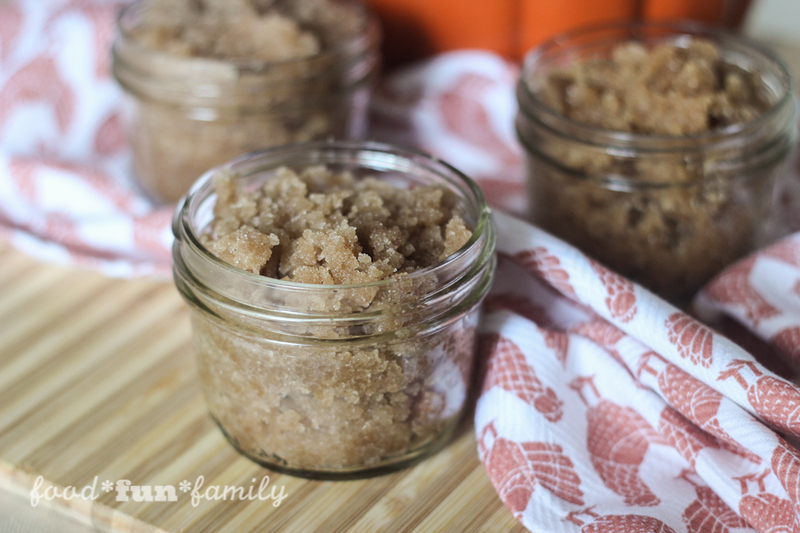 Sugar scrubs really are so easy to make and they feel so wonderfully refreshing! Several drops of essential oils (optional). I would suggest Frankincense, cinnamon, ginger, etc. Find essential oils here. Mix all ingredients in a medium bowl. Place mixture in wide mouth mason jars (I prefer to use plastic lids). If desired, add a fun gift tag or a ribbon to the jar before giving it away. Store scrub covered. I prefer using plastic lids on my jars. And of course, I’m a huge fan of essential oils, and they each have their own individual benefits. I’ve joined with a few of my blogging friends to bring you not only one fall-themed DIY project or recipe, but several. Enjoy! You’ll definitely want to check out these other great Halloween DIY projects and recipes, too! Quick and Easy Faux Gilded Pumpkins – How Was Your Day? It looks almost good enough to eat! I’ll bet it feels luxurious to use, too. Pinning this to make a batch when I pick up the soap. I adore homemade scrubs. This sounds heavenly! I love this recipe. I would love to make it. Pinned and yummed! I bet this smells amazing! There is just something about pumpkin and cinnamon that makes me feel warm inside. I’ve never tried to make my own scrub – I think it is time to start!